Choosing the right business formation can have a lasting impact on the future of your business. The business attorneys at KALIS, KLEIMAN & WOLFE help business owners research and identify the best business formation option for their situation, including the establishment of a Subchapter S Corporation and LLCs, or a combination of both, and more. A Subchapter S Corporation (S Corporation or S Corp) is a domestic business entity that is popular among small business owners. 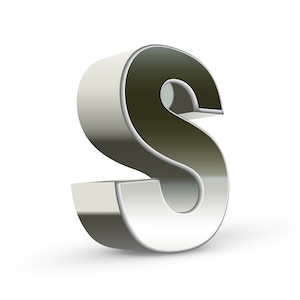 An S-Corp is a corporation that has received the Subchapter S designation from the Internal Revenue Service (IRS). A business must first be chartered as a corporation in the state where it’s headquartered, then file the appropriate paperwork to the IRS to be considered an S-Corp. In Florida, the corporation must have no more than 75 shareholders. One of the key advantages of an S Corporation is the potential tax savings benefit. In an S Corp, only the wages of the S Corp shareholder who is an employee are subject to employment tax. The remaining income is paid to the owner as a “distribution”� or “dividend,” which is taxed at a lower rate, if at all. Another advantage is that some of the expenses incurred by shareholder/employee can be written off as a business expense. An S Corp also allows a business to have an independent life (distinct corporate entity), separate from its shareholders. There are also some disadvantages to forming a Subchapter S Corporation. S Corporations must adhere to strict operational processes including holding regular director/shareholder meetings, collecting and maintaining meeting minutes, adopting and updating by-laws and more. Only a single class of stock is allowed in an S Corp. Also, the IRS may monitor shareholder compensation and distributions via audits, which could lead to earned wages being reclassified, resulting in higher employment taxes to a shareholder. There are also numerous IRS forms (Form 2553, Form 1120S, 1120S K-1, employment tax forms, etc.) that must be filed during various times throughout the year. KALIS, KLEIMAN & WOLFE have more than 20 years of experience in helping South Florida businesses. The attorneys understand that one size does not fit all and that a strong foundation is important for future success. When you begin planning your new business enterprise, seek the advice of a trusted Florida business formation lawyer to help ensure you make informed decisions on the business structure that best fits your needs and protects your business interests. If you need help with starting or managing a Subchapter S Corporation, contact the experienced Corporate Law Attorneys at KALIS, KLEIMAN & WOLFE, the South Florida-based corporate and commercial litigation law firm today at (954) 791-0477.